The Leadership Forsyth Adult Program provides classroom/experiential leadership training to a network of emerging leaders through a community-based experience that increases all participant’s knowledge of local institutions and involvement with community leaders, volunteers and resources. The connections made within the Leadership Forsyth network have the ability to create, foster, and enhance the personal and professional endeavors of its members and ultimately create positive change in the community. Student and Parent Orientation August 6th, 2019 5:30 – 7:30 p.m. The program begins with an overnight retreat. The retreat is followed by 9 monthly sessions where the LF class embarks on a series of engaging leadership workshops that focus on leadership theory and practice. During the sessions, participants will have the opportunity to participate in behind the scenes tours of local businesses, government offices, local schools, non-profit organizations and various local landmarks in order to broaden their knowledge and awareness of our community. They will also hear from various community and business leaders to reinforce the theme of the day. 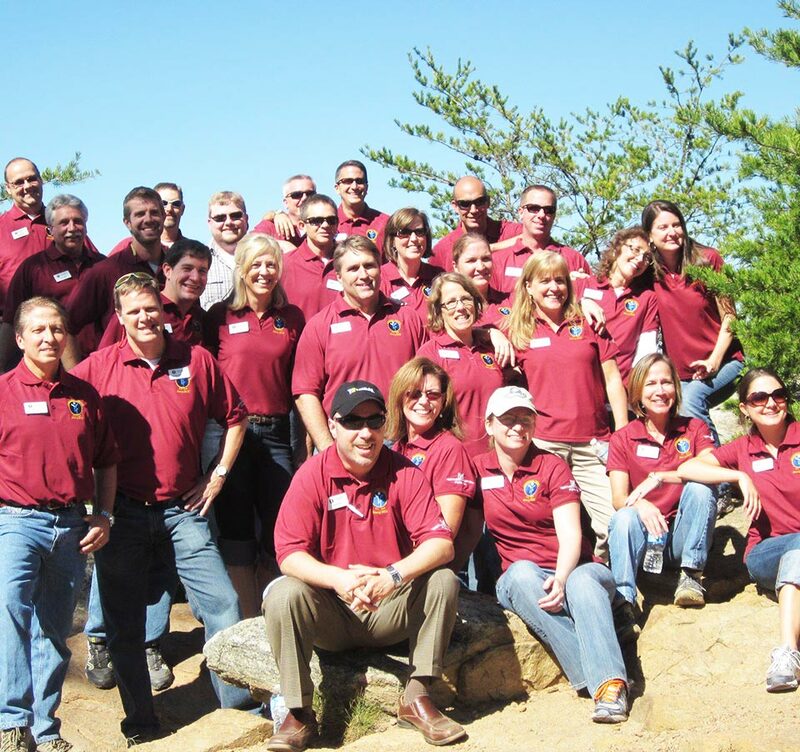 The highlight of the LF class experience is the dynamic experience of engaging the diverse leadership backgrounds of the class members combined with the “in the moment” leadership training/experiences to deliver on a class project that is targeted to meet an identified community need and leave a legacy for the class. Each year, after a rigorous application submission and interviewing process, the Leadership Forsyth Class Selection Committee selectively assembles a class of 35-40 emerging/seasoned leaders who are experts in their areas of endeavor. The application process for the Leadership Forsyth adult class is competitive and selective. The process involves a comprehensive application review and interview process conducted by members of the Leadership Forsyth Board and Alumni. All applicants must complete the review and selection process. There are no automatic admissions. Interesting in learning more? Contact our Executive Director today!